Heat & OKC game last night was crazy..
Would be an amazing finals series between the two. But both teams will have to go through tough teams during the playoffs. Spurs, NYK, LAL, LAC, Bulls, Magic, hell even Pacers are gonna make the playoffs exciting. Should be a great post season this year. I think you are missing BOS in that list. Imo, ORL LAC NYK will not make it that far. Most like round 1 out. I am betting OKC vs. MIA in the finals. Wow, tension is on the rise between Dwight Howard and the coach. Talk about an awkward moment between player and coach in front of reporters. What do you think about Howard's comments to reporters? -wanting a person to be fired, in this case your coach, and then denying the truth is wrong. Come on Dwight, be honest. The coach said that team management told him that it's true that Dwight approached managers to ask them to fire the coach. Superman should be practicing those free throws and helping the team. Didn't he tell his team mates that he's "all in" for this season? Is he really "all in"??? Last edited by pastarocket; 04-05-2012 at 01:25 PM. keep the mockery comin' shaq! anybody know where i can DL the kentucky vs kansas NCAA championship game from monday? Last edited by welfare; 04-06-2012 at 03:58 PM. i'm thinking it's a mixture of ego & intellect. plus no one wants work hard & play defense these days. and ya i used to love watching reef play. he was so quick & agile i enjoyed watching him play SF on smaller guys. i remember he'd blow by bigger slower guys all day & go baseline. it killed me to see him do a spin move in to the paint and 3 guys were on him and he'd turn it over though. Spurs have 72 points at the half ... DAFUQ?!? 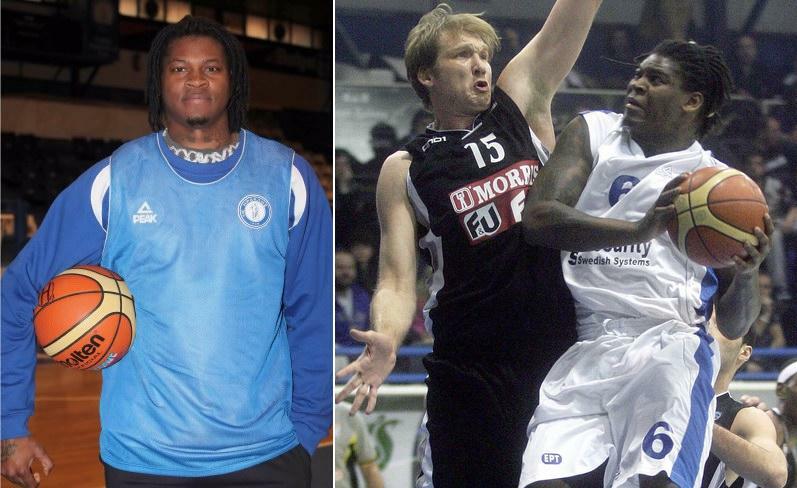 wow doesnt matter how talented u are bynum. with all the drama between Cousins and Griffin from their last game, I'm layin here on my couch not movin an inch waiting for the Clips SacTown game to come on !!! Last edited by G-spec; 04-07-2012 at 03:59 PM. did griff slam one down on him and then a staredown ensued? SACRAMENTO, Calif. -- DeMarcus Cousins was frustrated with Blake Griffin even before their wrestling match on Thursday night. The Kings' center had seen the replays from Wednesday's Clippers-Lakers game like everyone else, how the high-flying Griffin planted his elbow in the face of Pau Gasol during one of his trademark spectacular dunks. Opinions had varied about whether Griffin should have been called for an offensive foul, including Kobe Bryant's assessment that the play was above reproach. But Cousins didn't see it that way. He viewed the no-call as a continuation of the preferential treatment that Griffin has received from the NBA during his two seasons. "He's babied," Cousins told SI.com after the Kings fell to the Clippers 93-85. "He's the poster child of the league. He sells tickets, but he's babied. Bottom line." Babied by whom, Cousins was asked. "The refs, the league -- period," he continued. "He gets away with [everything]. He taunts players. Nothing is done. He's babied." Cousins' strong stance was quite the setup for Saturday night, when the Clippers, who are fighting for home-court advantage in the playoffs, play host to the Kings at Staples Center. And considering the way Cousins and Griffin traded blows down the stretch of Thursday's game, the rematch will offer plenty of intrigue. "I thought that was a great football game tonight," Kings coach Keith Smart quipped. If Cousins had his way, the short-lived battle with Griffin would have lasted beyond the final buzzer. They had swapped sharp elbows, arm bars and verbal jabs, the back and forth getting testier as the final minutes came to a close. Moments after Griffin's late scoring surge helped the Clippers hold on for their seventh win in eight games, Cousins -- who played just 18 minutes because of foul trouble and had to sit down for good with six seconds left -- made it clear he wanted more. He could be seen jawing with Griffin from the team's bench before heading toward the locker room, then pointing toward the tunnel as if to invite him to the worst kind of postgame party. Cousins laughed and smiled when asked what he had said, but then declined to comment on the matter. Griffin, however, confirmed that Cousins had wanted their tussle to continue after the game. "Yeah, but we don't want to go there," said Griffin, who had 14 points and nine rebounds to Cousins' eight points and three rebounds. "We really don't want to go there. That's something that will hopefully go away as time goes on for him. "When guys get frustrated, that's what happens. Like I said, I'm not trying to get into a back and forth, a verbal back and forth. Whatever happened out there happened, and I'm moving on." Cousins had plenty of reason to be frustrated. He had been outstanding lately, averaging 26.4 points and 12.2 rebounds in the previous nine games and scoring a career-high 41 points in a loss to Phoenix on Tuesday. His consistent play and smooth sailing with Smart had made the second half of the season far more positive than the first, when his clashes with Paul Westphal led to the coach's firing after only seven games. Cousins had become the quiet one of the league's top-tier big-man bunch, with Orlando's Dwight Howard and the Lakers' Andrew Bynum wrapped up in nonsense of their own recently. But early fouls in Cousins' latest outing meant he was stuck on the bench for most of the night, and numerous key plays went against him at the end. After Cousins barreled through Griffin and Caron Butler for a layup that cut the Clippers' lead to one with 1:30 left and prompted Kings commentator Bill Walton to say "he very well may be the third-best center in basketball," Cousins' ball-swipe attempt on Griffin on the next possession led to his fifth foul. The camera angle didn't show whether Cousins made contact with Griffin's face, but Smart was incensed on the sideline and Cousins was quick to accuse Griffin of selling his reaction to get the call. "Of course that's what Blake is going to say because he's in L.A., where actors belong," Cousins said when told that Griffin was "moving on" to the rematch. "He's an actor." Cousins was then asked about the foul. "I guess the wind from my hand hit him in the eye," he said sarcastically. "I guess he got fouled by the wind. I'm not sure." Griffin, who hit two jumpers and a half-hook in the post during an 85-second stretch late, fronted Cousins and forced a turnover on a Kings inbound pass with 16.5 seconds left to all but end it. Cousins, who took exception to Griffin's arm being wrapped around his waist on the play, was convinced it was yet another case of Griffin's being let off easy. If the Kings ever find their way out of the Pacific Division cellar, this could become quite the rivalry. For now, though, Griffin wasn't ready to reciprocate Cousins' contentiousness. Nor was he expecting an NBA rendition of Saturday Night Raw when the two teams play again. "Nah, it wasn't me going at it," he said with a chuckle afterward. "There was none of that. I don't want to get that [idea] started. I don't know, man. You're asking the wrong guy in this ordeal. "There were some things that I think I wouldn't have handled them the same way, but I'm not the judge of what's wrong and right out there. We'll see what happens." OH ME OH MY !!! Last edited by G-spec; 04-07-2012 at 07:31 PM. 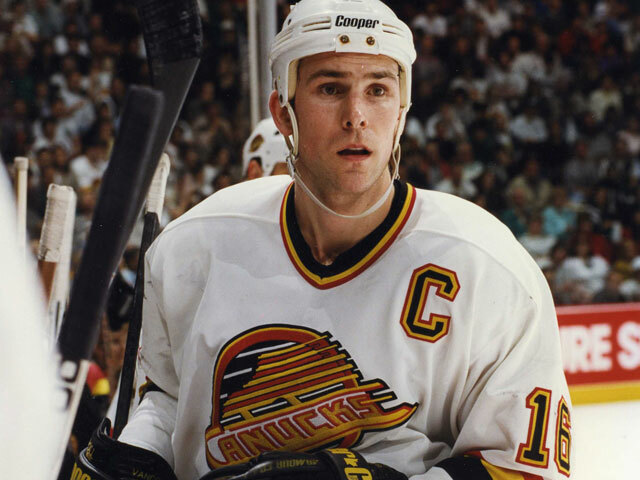 I'm too stuck on the 90's Canucks I guess, with Bure, Odjick and those gutsy mofo's that really put in work instead of a team that throws in the towel and waits to get back to home ice to close out a finals series. Hey, you take that back mister!! no way bro, never taking this back.... NEVARRR ! I agree. And I actually like Cousin better than Griffin. Blake is a baby. He wants to dunk on people and does all that stare down businesses but can't take the abuse. I hope Cousins goes to a good team. He's a beast, already posting 20s,20s in 2nd year. those were the mother f ing days. what a god damned team. and i know I'LL probably get failed for this. but i dunno how you guys can favor this nba CRAP over the ncaa. i couldn't believe the march madness thread was that dead when i viewed it. those guys play 10x harder, with more heart and emotion than these old, slow, whiney ogres do any day. after watching ncaa, the nba just seems so dull and slow. it's no wonder most of the talk in this thread is about drama between players and players and coaches. the whole thing has turned into wrestling. Damn watching the other knicks play is so fustrating. Pull up 3s for three different guys with 20 on the shot clock? ^ well that one pull up for Anthony worked, lol, happened to be the game winner too..
that was an exciting sunday afternoon game eh!